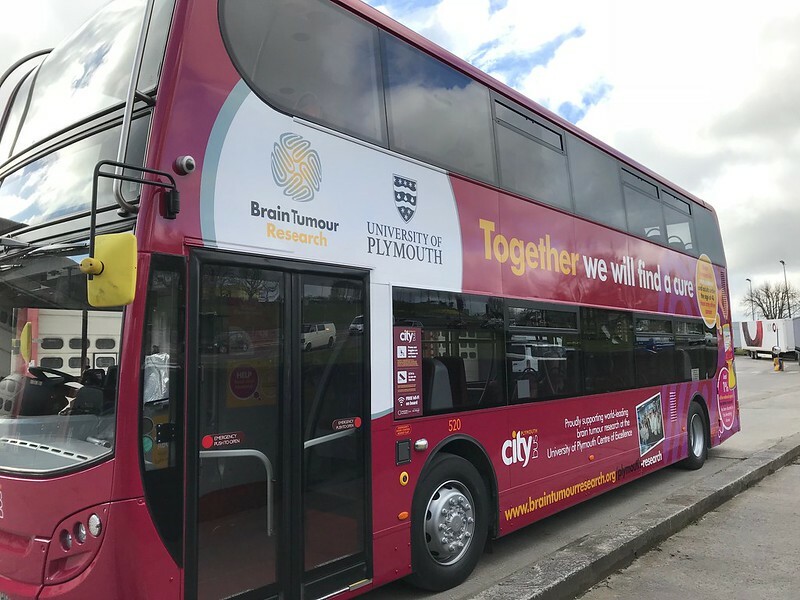 As mentioned a few days ago, Plymouth Citybus are launching their new pink bus in support of Brain Tumour Research. 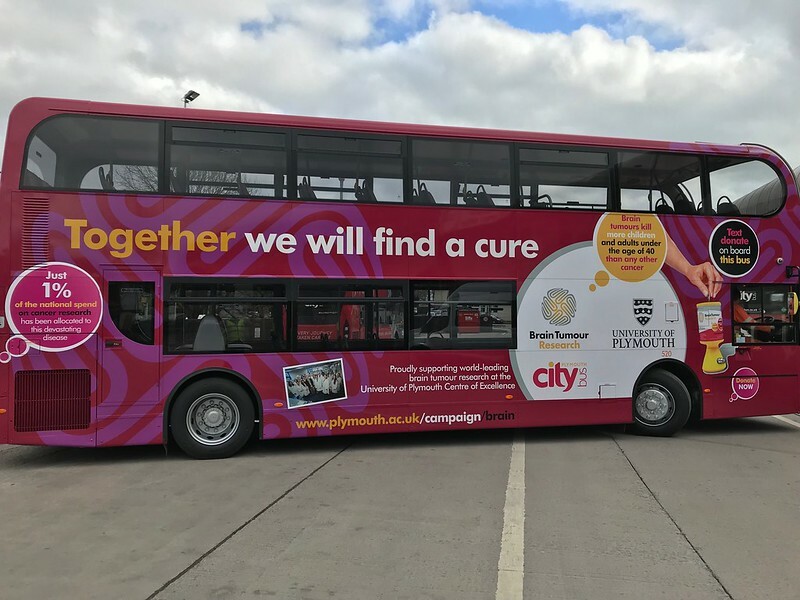 If you are in the City Centre Thursday 29th between 09:00 and 13:00 then you probably wont be able to miss it! Hopefully I will get into town myself during the day so may get some more! 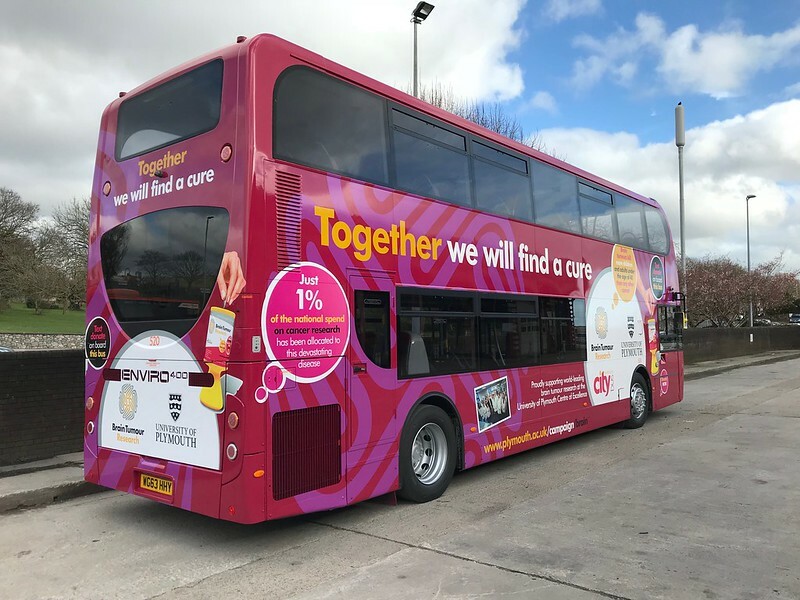 Its always nice to see the local operators supporting local charity campaigns like this. Interesting that they have opted to repaint 520 when there are still ‘RedFlash’ branded E400s knocking around that are surplus to requirements for the 42s. My only thoughts are either a) having repainted 517 and 519 (swoops) and 518 (callywith col) 520 completed that set of 4 (63 HHV/W/X/Y). Or b) 520 had a prang on a tight Cornish road and needed a part repainting so the did the lot. I wonder what routes it will work. I think it will mainly be the 21 and 51 as cover.